Construction equipment theft still continues to be a major dilemma for many business owners. Sites are usually left unattended and anyone can get in and out, pretending to be one of the foremen. Indeed, stealing equipment is a low-risk yet high-value for thieves. It is even easier to sell stolen equipment to unsuspecting buyers due to unavailability of titles and registrations consolidated in one database. In 2016, the National Equipment Register released the Annual Theft Report, which shows that construction equipment theft is more rampant in states where there’s a record-high volume of construction and therefore have the most machinery, particularly Texas and North Carolina. In addition, the same study finds that the most stolen equipment are loaders (skid steer, backhoe, and wheel loader) and tractors. Interestingly enough, records point out that the larger the equipment, the greater risk of it being stolen while remaining unnoticeable to those in charge of managing them. Not only that, the report further shows that thieves choose high-value equipment from well-known manufacturers like John Deere, Kubota, Bobcat, Cat, Toro, and others. Glen Sider, operations manager at New York NER, relayed the same narrative from one of the reported equipment theft incidents. On a Sunday morning, a foreman happened to pass by one of his construction sites and noticed men loading a machine onto a flatbed trailer. The foreman reasoned out with the two men and found out theywere just employees from the leasing company. He maintained he hadn’t called for a routine maintenance, yet the two men handed paperwork printed on the leasing company’s letterhead, confirming all particulars of the said request. The documents looked real, so he let the men continue—only to find out the equipment was nowhere to be found the next morning, the day they promised to return it. Construction equipment theft is no easy deal. With it comes a financial loss any company would want to avoid. Annually, the cost of equipment theft ranges from $300 million to $1 billion. Out of which, only $12,054,311 or nearly 3.2% of the stolen tools are recovered by law enforcement. According to NER, construction equipment theft still remains rampant mainly because of poor equipment and site security and minimal risk of detection and arrest. And despite the alarming statistics of equipment theft, there is still no centralized, accurate, or exhaustive database to govern and deter the crime. As a conclusion of the Annual Theft Report, NER suggests that equipment owners and insurers take proactive efforts to heighten both equipment and work-site security, considering that there will be no centralized organization to focus on the issue. Proactive efforts include, but are not limited to, installing 24/7 working surveillance camera and roving guards day and night. Although these mechanisms are effective, the employment of additional personnel and monitoring cameras is undeniably expensive. To keep up with the growing demands of equipment theft protection, many companies have developed GPS tracking devices. Integrating GPS to ensure equipment safety has significantly become a trend over the years, as it economizes the operation. 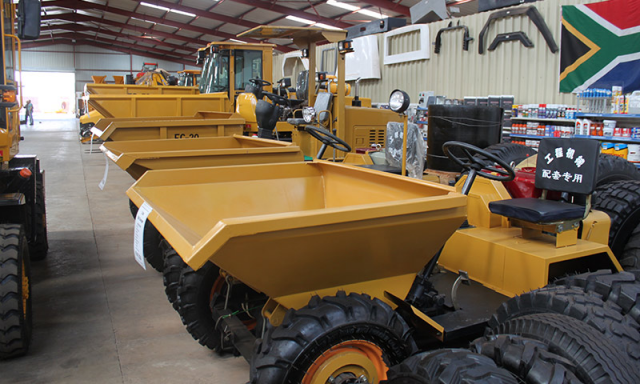 Here are the benefits of incorporating GPS tracking system as a solution to construction equipment theft. Employing more security personnel to guard construction sites can be very costly, which is why most SMEs avoid hiring a lot that they end up not hiring enough to keep the place safe. Surveillance cameras, besides being expensive, are not enough to eradicate the possibility of equipment getting stolen. So to solve the problem, construction businesses turn to GPS trackers. Each tracker has an estimated value of $140, so say a construction site has 100 heavy equipment to monitor, the average annual cost is expected to be around $14,000 only. This is way lower than having to spend $26,400 annually on each guard, making GPS tracking devices a more efficient solution to construction equipment theft. More than anything, GPS tracking devices work 24 hours a day, 7 days a week. Before GPS trackers, monitoring construction equipment has never been as easy as a simple press of a button. By attaching one tracker to each construction tool, business owners are made aware of the equipment’s real-time location and condition. Anyone who has access to the tracker and the data it gathers will know the subject’s whereabouts even when they’re far from the workplace. Bosses will know if the equipment aren’t where they should be and can call construction managers to inquire about it. When an equipment is in transit, there’s a possibility that the transporting vehicle will enter a gray area where there is very limited cellular service. In this case, it will be very difficult to communicate with the drivers and foremen. Situations like this are the perfect opportunity for thieves to attack and steal whatever they can get. 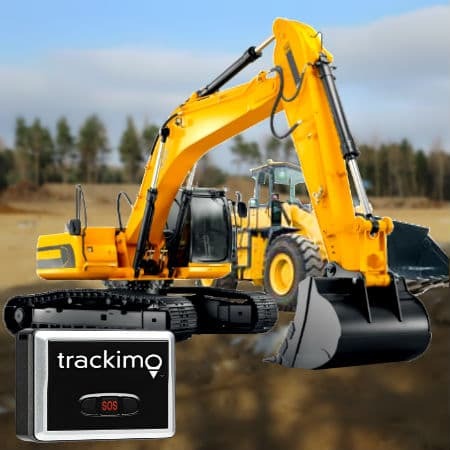 But with GPS tracking devices like Trackimo, location tracking remains convenient and accessible anytime, anywhere, as long as GSM cellular reception exists, ensuring that the equipment never go off the radar. Usually, construction companies fail to report missing equipment because most of the time, they don’t even know it was missing in the first place, a fact laid out on NER’s report. It’s only when they actually need the equipment that they notice it has been gone for quite a while. This is one of the most common problems at construction sites that do not perform daily inventory. But with GPS tracking, inventory management becomes tenfold easier. By incorporating the system into your day-to-day operations, locating your assets, especially the tangible ones, will not be as time-consuming and physically exhausting as it once was. The purposes GPS tracking devices serve are not limited to tracking and monitoring. Most devices also come with an alert system. On a programmed software or mobile application, construction owners can set no-go areas (geo-fences) so when a bulldozer, loader, or any equipment approaches or exits the area, it will trigger an alert. This is a preventive measure for construction equipment theft. With big bucks attached to every piece, it is necessary for every enterprise to come up with effective ways to protect their assets. In the event of a loss, replacement is just the beginning of the dilemma. Business owners can only hope their insurance covers replacement. Apart from that, there’s also the time spent on the rigorous process of filing police reports and insurance claims. Using GPS asset tracking is here to save you from having to go through all that. Just attach monitoring devices to your assets and technology will do the rest. Or learn more about our GPS asset tracking device.